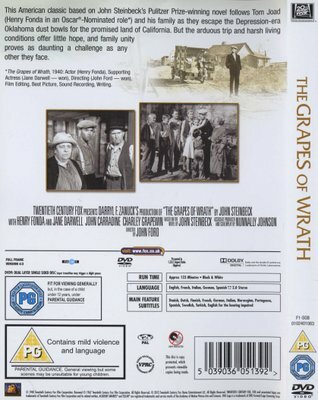 John Ford's adaptation of John Steinbeck's classic novel follows the traumatic journey made by the Joads, a dispossesed Oklahoma family who head towards California to begin a new life. 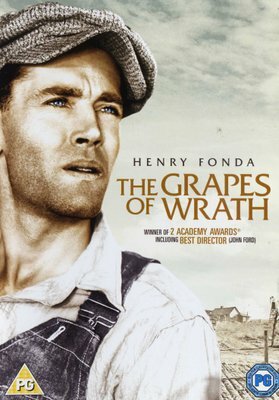 When Tom Joad (Henry Fonda) returns home after being released from prison, he discovers the farmlands have been destroyed by dust storms. Seeking a better future, he leaves with his mother (Jane Darwell) and the rest of the family for California. Their journey is far from easy, however, and there is no guarantee the 'promised land' will provide the life they are hoping for.